Did you ever ask yourself why some Italian foods have become universally accepted? Nowadays pizza, tomato sauce, lasagne, cured olives, prosciutto can be found in the most unsuspected corners of the globe. There are many historic and cultural reasons for this phenomenon. It’s delicious food, you will think. Convenient, yes. Kid friendly, great. But what else? Umami, a Japanese word meaning “savoriness”, is the 5th basic taste after sweet, sour, salty and bitter. The umami taste in a certain food is defined by a high content of glutamate. Umami rich foods, such as soy and fish sauce, are flavor enhancers. That’s why glutamate is commonly used in Asian cuisine. What does this have to do with Italian food? Flavor enhancers have been used for thousand of years. Garum, a pickled sauce made with fermented fish, fetched fantastic prices in ancient Rome. By the way, Worcestershire sauce is its direct descendant. There’s lots of umami foods in Italian cuisine. 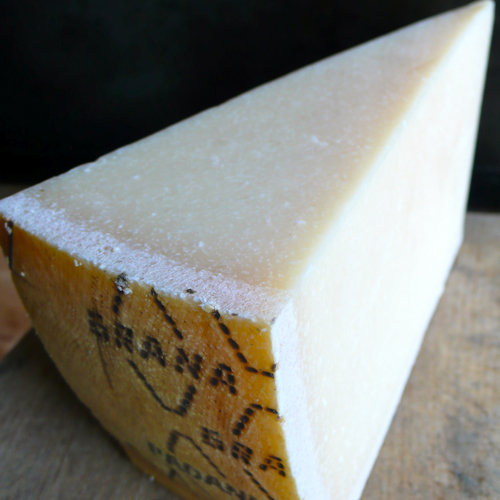 Parmesan is the umami king, the humble anchovy is the princess, they rarely go together. And there’s more. Cured meats, stock, ripe tomatoes, balsamic vinegar, capers, mushrooms, olives are daily helpers to add depth and flavor to our food. So now you know what makes the magic. A sprinkle of capers, a drop of balsamic, a handful of olives, few cubes of pancetta, a dusting of Parmesan. Use modest amounts though, you don’t want to eat only the condiment, you need the condiment to improve the rest. Very interesting, Letizia! This helps explain the “magic” of Italian food! Hi Claudia and Sandra, thanks! What a fun post. I thought you were going to get into the Italian food that non-Italian Americans, etc don’t find interesting like pasta e ceci, pasta e fagioli, pasta tonno … all three of which my very American family find odd. I found you via Diana’s site today. Nice to “meet” you! I just cannot get past the “fishy” taste of anchovy and just a bit to much and like nutmeg the dish is ruined for me. I am curious about when parmesean and anchovies mght be used together though? I do love other seafood though and I saw someone on a travel show eating some grilled whole sardines fresh of the boat down by the beach somewhere in Italy seasoned with just lemon, sea salt and olive oil and they looked really delicious. Hi Willy and thanks for visiting here! Anchovy is a powerful ingredient, I hardly ever use more than one fillet in a dish. You don’t want to perceive the fishy taste, just have the flavor enhancing effect. Parmesan and anchovies are rarely used together, I can’t think of an example now. As you probably know, fish and cheese are not often used in traditional Italian cuisine.